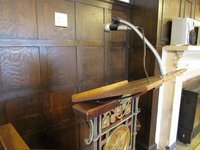 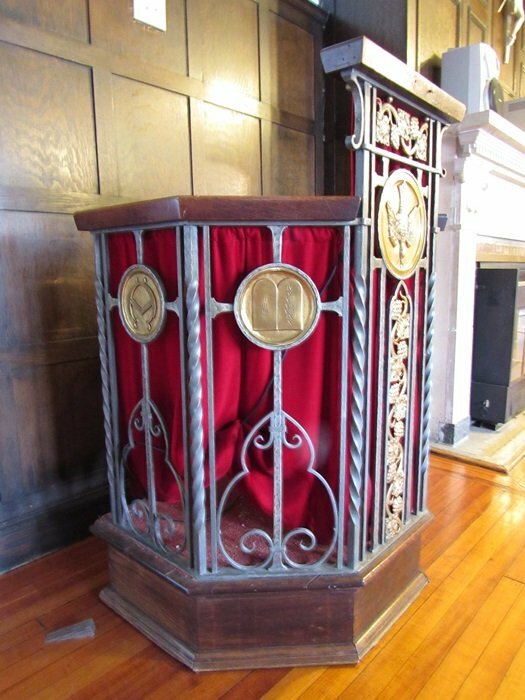 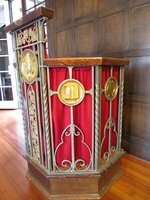 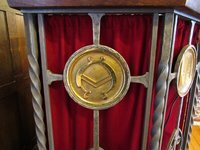 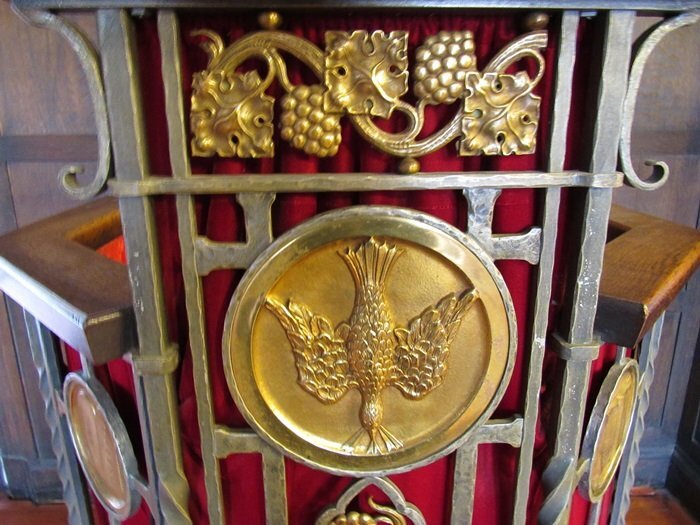 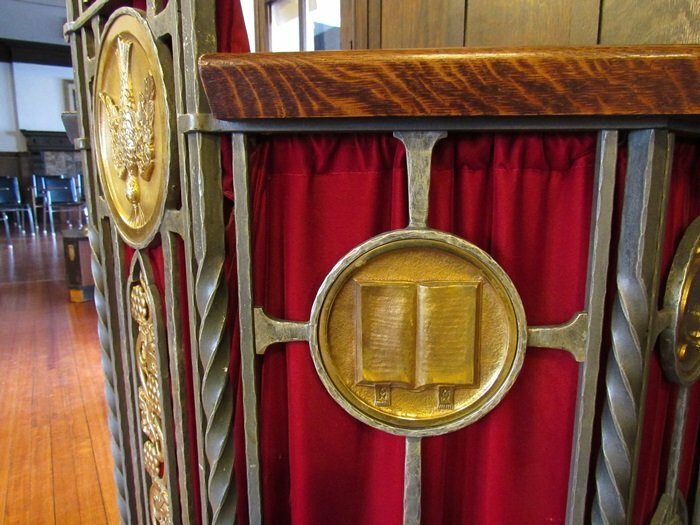 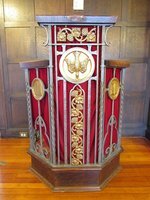 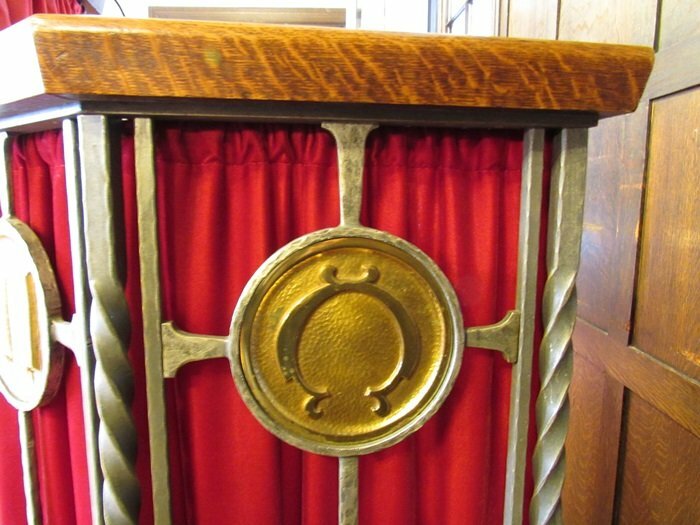 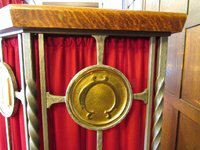 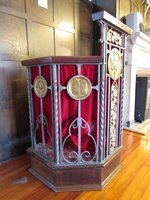 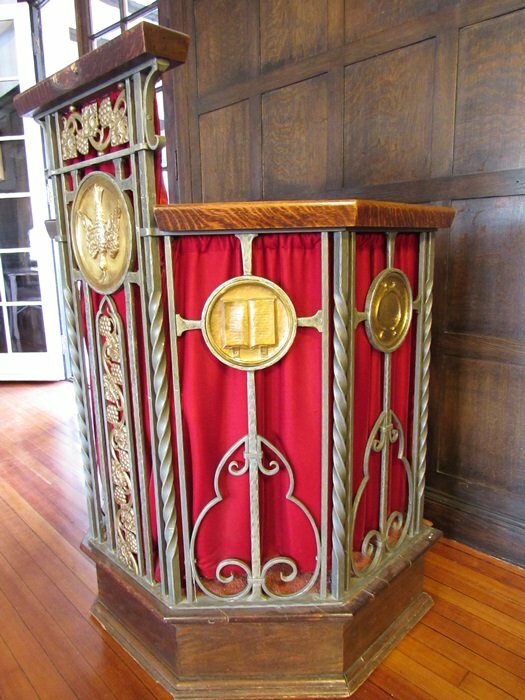 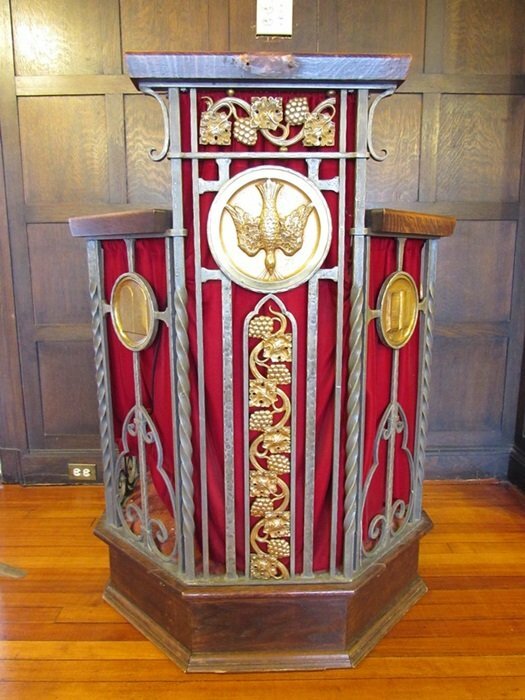 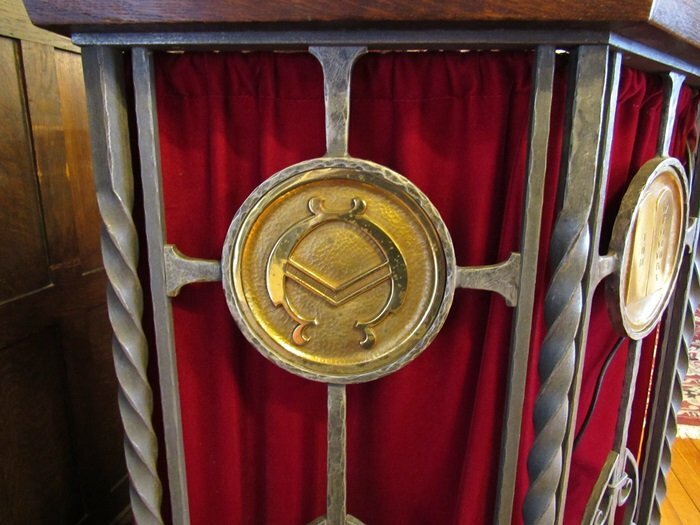 Description: This is the pulpit from the Retreat House Chapel in Ridgefield. 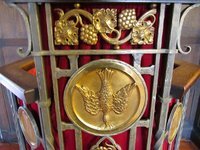 It is wrought-iron with brass medallions and grapevines. Height of front rail: 49"; Height of side rails: 49"; Depth (Front to Back): 25"; Width: 35"